Images are essential to successful marketing. However, just because you can find an image that fits your project perfectly, that doesn't mean you can use it. US copyright law protects images, along with all other creative works, so it is important to avoid infringement. Here are a few ways to protect yourself and keep your image usage legal. You can view the visual summary of this post below or click here to read a detailed explanation of how to keep your infographics legal. 1 Make your own image. The simplest way to ensure that you own all rights to an image is to make it yourself. You can capture an image yourself, hire a photographer, make a custom digital image, or hire a designer to create a unique image for you. However, if you take pictures yourself, you need a willing subject and often a signed model release. If you are taking pictures of anything that may be protected proprietary information (such as patented manufacturing equipment), you should make sure you have written permission to use the images. 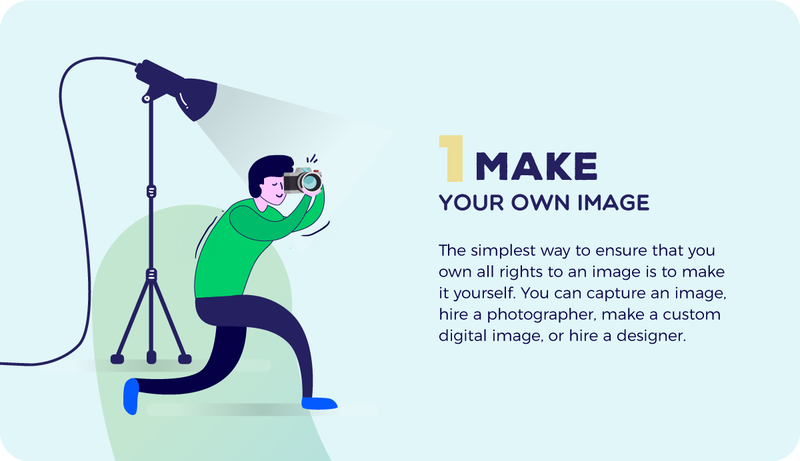 If you choose to hire a freelancer, make sure to confirm—with a graphic design or photography contract—that you can legally use the images that they create. 2 Ask permission to use an image or artwork. If the image owner allows you to use their work, you will want to document the agreement so that both parties have a record in case of a future dispute. 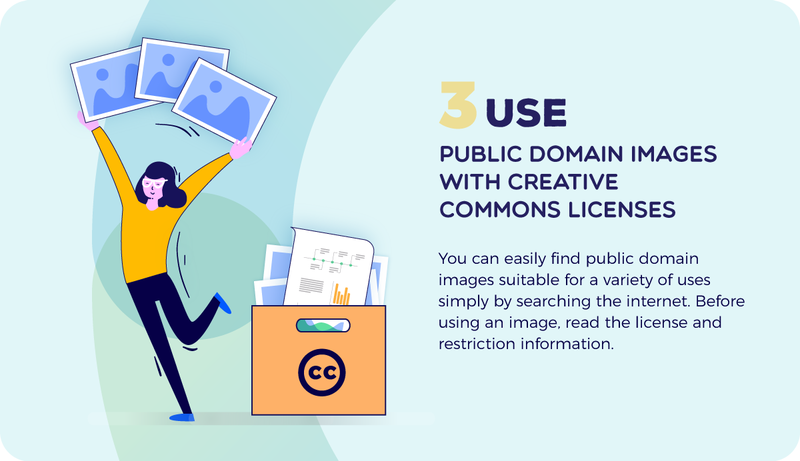 3 Use public domain images with Creative Commons licenses. Generally, public domain images have expired copyrights, are not copyrightable, or they have been assigned to the public domain using a Creative Commons license. Nearly anyone can use these photos or artwork for almost any purpose. You can easily find resources for free public domain images suitable for a variety of uses simply by searching the internet. 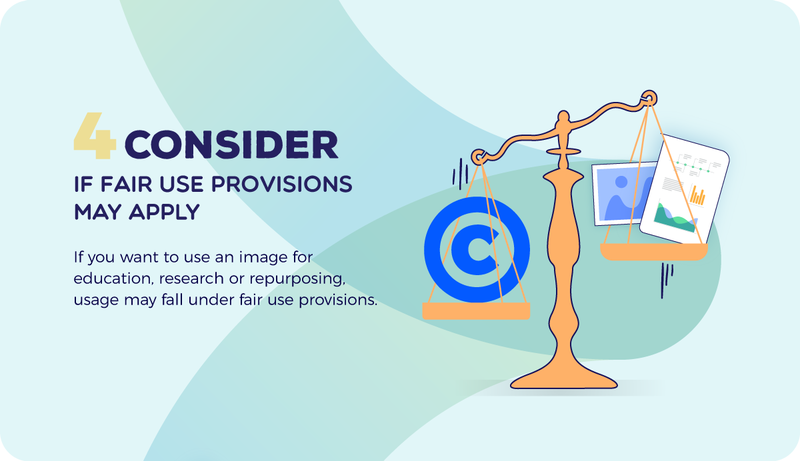 Keep in mind, that some images may still require you to include an attribution and some licenses limit how the images can be used. Before using an image, thoroughly read the license and restriction information. 4 Consider if fair use provisions may apply. As with any artwork you want to use, it wouldn’t hurt to contact the artist or publisher to ask them if they own the rights to the image and if you can use the image. If you decide your usage could be fair use, you can still include an attribution and disclaimer if you feel it might help protect you. 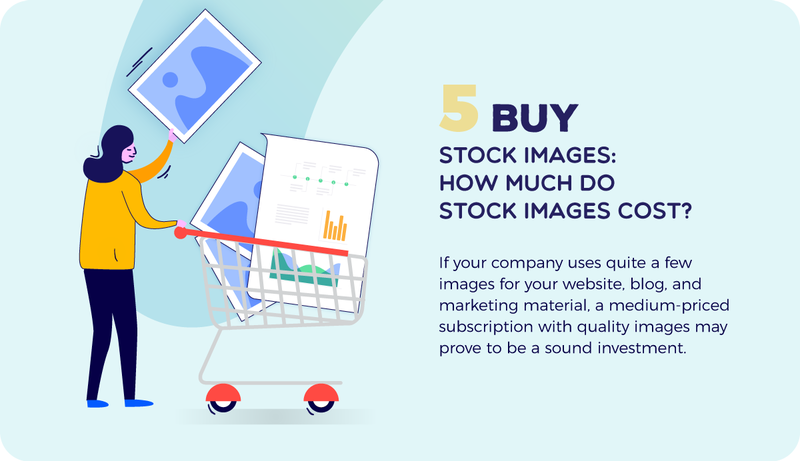 5 Buy stock images: How much do stock images cost? Stock photography companies sell images that can be used for a wide range of uses, even commercial uses. Stock image companies sell subscriptions as well as single images. Even though a stock image may be used more than once, often you can purchase exclusive or unique rights if needed. Most online stock catalogs will show you how many times the images were downloaded and what rights are available. Comparing membership pricing can be confusing. 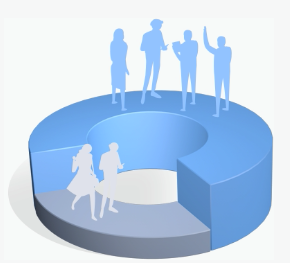 Most memberships allow a certain number of downloads per month or per year. The same company may also offer high quality, exclusive image rights for a set fee. However, like most products and services, you get what you pay for. Lower quality images without exclusive rights are low-priced whereas high-quality, exclusive photographs cost more. If your company uses quite a few images for your website, blog, and marketing material, a medium-priced subscription with quality images may prove to be a sound investment. Plus, it is easy to understand the usage rights when you use a service. What happens if I use an image without permission? If it is discovered that you have used an image without the proper permission or you used an image or a likeness of a person or entity in a manner that might be considered offensive, you could face legal trouble. If you are lucky, the owner may simply ask you to discontinue using the image and if you do so, they may decide that no further action is necessary. If injury can be proved, it may be determined that you have broken the law, which can lead to fines and even jail time. What can I do if someone uses my photo without permission? The first thing to do is to gather evidence proving that your image was used and that you are the original owner of the image. Then, you can use a cease and desist letter asking the person or company to discontinue using your image. In many cases, they will simply stop using your image, and the issue will be resolved. However in other situations, you may need to ask a lawyer for assistance. What if I get a Cease and Desist letter? The easiest thing to do is to simply stop using the image and to respond to the letter in writing for your records. A Cease and Desist Letter is a request for you to stop using an image, but it is a step before formal legal action. If you choose to not cease and desist, they may take the next step and file a suit against you. If this happens, you should talk to a lawyer. Make sure you document everything you can to support your case and have your lawyer handle all communications for you. 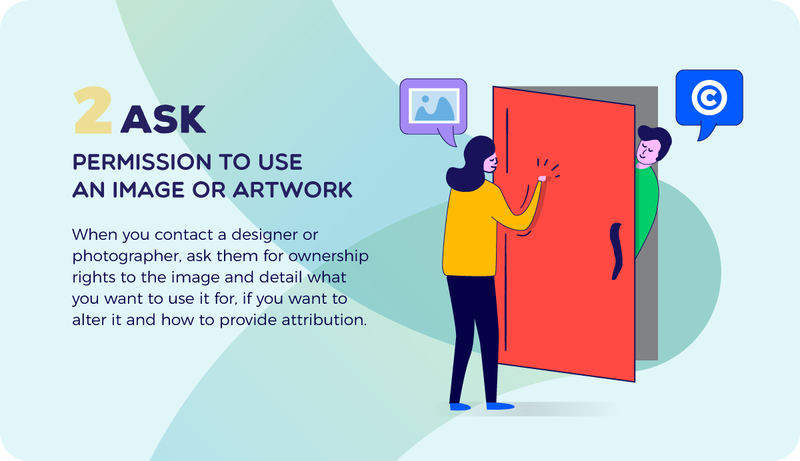 Protecting your creative work helps to prevent others from reusing or altering your images without your permission, and understanding legal usage restrictions can help prevent you from misusing an image. 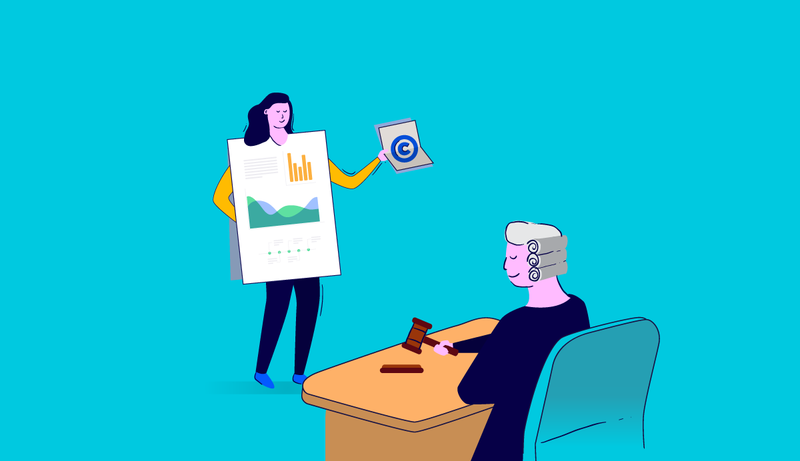 Rocket Lawyer offers the legal documents you need to help you protect your images and creative works, and we can connect you with a lawyer in case of infringement questions or other issues. Masami Hirata is Senior Vice President of Marketing at Rocket Lawyer, the simple and affordable online legal service that millions of business owners and families use to make personalized legal documents, get legal advice, and incorporate their businesses. Enhancing brand value and scaling tech companies for over 20+ years, Masami continues to be passionate about driving innovation that delights and contributes to the well being of people’s everyday lives.